With the coming of the railroad in the late 1800s, the town grew to become one of the most significant coal mining centers in the western United States. While remembering its past as a coal mining community, the town is today an economic center for the oil and gas industry, coal mining and ranching. Western Wyoming Community College is the home of one of the largest displays of dinosaur skeletons in the Intermountain West. Skeletons of Tyrannosaurus Rex, Triceratops, Stegosaurus, Camptosaurus, Plesiosaurus, and a large fish called Xiphactinus Audax are on display. Also present are fossilized fish and ancient palm fronds. 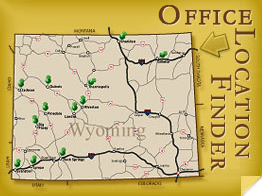 In addition, the Natural History Museum contains displays on the archaeology and paleontology of southwestern Wyoming.